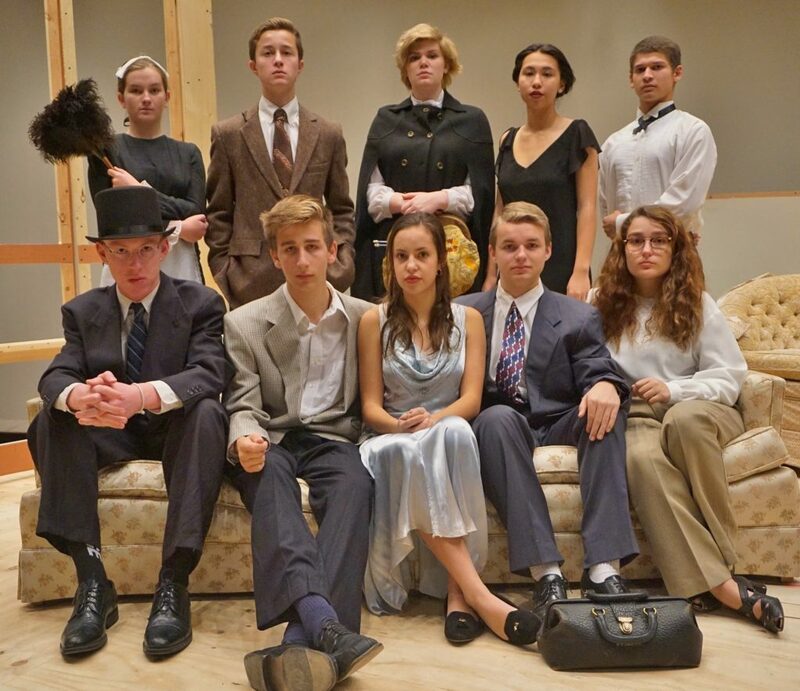 You’re invited to the Penn Manor Theatre production of Agatha Christie’s “And Then There Were None” at 7:30 p.m. Friday and Saturday, Nov. 17 and 18, in the Penn Manor High School auditorium. One of Christie’s darkest tales and a masterpiece of dramatic construction, the play involves 10 strangers who have been summoned to a remote island. All have a wicked past they’re unwilling to reveal and a secret that will seal their fate, for each has been marked for murder. As the weather turns ugly and the group is cut off from the mainland, the bloodbath begins, and one by one, they are brutally murdered in accordance with the lines of a sinister nursery rhyme. The audience is kept guessing until the end. Cast members include Marie Flinchbaugh (Mrs. Ethel Rogers), Damien Allman (Thomas Rogers), Claudia Heitland (Vera Claythorne), Max Minnick (Philip Lombard), Adelyn Beans (Toni Marston), Kassidy Ponton (Willa Blore), Alex Detter (General MacKenzie), Caitlin Moser (Emily Brent), Garrison Webster (Justice Lawrence Wargrave) and Alex Patterson (Doctor Armstrong). Reserved seat tickets are $6 for students and senior citizens and $8 for adults. You may purchase tickets online here (50-cent service charge per ticket) or by submitting a written order form, available here. Please call the box office, at (717) 872-9520 ext. 1958, with any questions or concerns. Don’t miss this spellbinding show! Back row, from left, Marie Flinchbaugh, Alex Detter, Caitlin Moser, Adelyn Beans and Damien Allman; front row, from left, Garrison Webster, Max Minnick, Claudia Heitland, Alex Patterson and Kassidy Ponton.